I bet you never thought a dedicated fitness pram could look as hot as this! Indeed, the new breed Mountain Buggy Terrain has eclipsed its predecessor in both looks and functionality, making for a great-looking ride for baby and the consummate fitness machine for you. This sassy 13 kg pram made from lightweight aircraft-grade aluminium now sports a lockable front swivel wheel which is something the previous model never had. There’s also a new handbrake, allowing much greater control on rougher terrains, with the handlebar adjustable to a height of 118 cm. Shock-absorbing suspension will keep babies from six months protected from the bumps encountered off-road and the underseat basket will hold a huge five kilograms for all the gear you’ll need to take with you. The bumper bar detaches easily and the hood now has a flip-out sun visor to shield baby from the rays. Prams have now hit space-age territory with the Terrain boasting a tracking device in its front wheel! 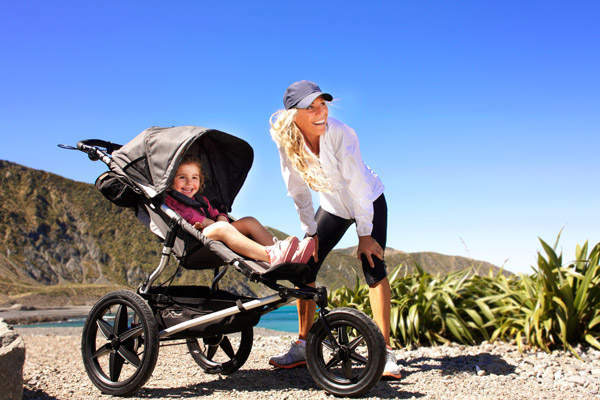 We love this latest release from Mountain Buggy with its amped-up rear wheels and new features catering to the athletic or recreational parent. Have a look at this rather high-octane video of the Terrain in action. It will be available from the end of this month for $759 in one sleek colour, flint with marble. There’s never been a better time to get out and about! 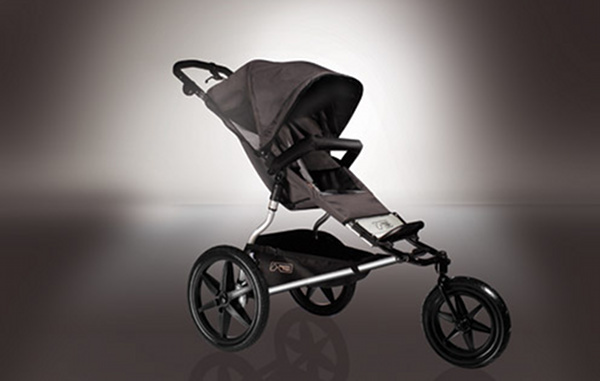 Compare this pram with others using our great pram Chooser.